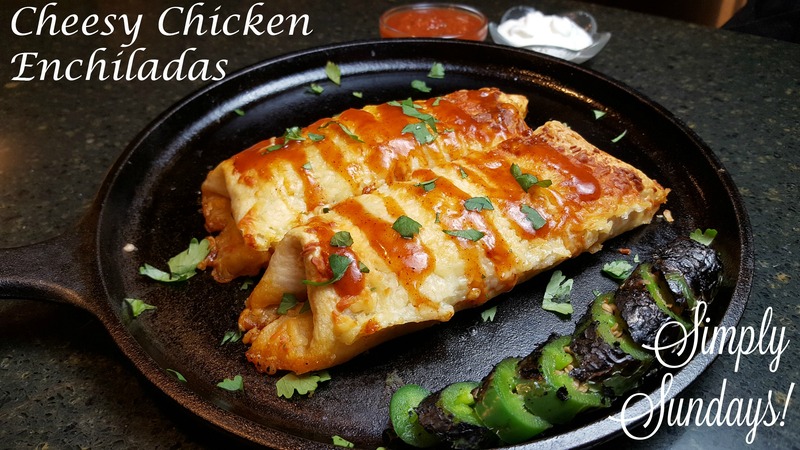 Cheesy Chicken Enchiladas – Simply Sundays! Using two forks shred the chicken and add to a mixing bowl. Add 1 cup of enchilada sauce, 1- 4.5 ounce can of chopped green chili’s, 1 medium onion chopped, 1/3 cup of reserved stock, 1/4 cup of fresh chopped cilantro and 1 teaspoon each of kosher salt and ground black pepper. These look so good! I will definitely add this to my “must try” list…Yum! Great! Let us know when you try them!